West Seattle's Oh's Sandwiches pulls off the impossible, serving good, inexpensive food in a really expensive city, and as long as the lines are out the door, they intend to keep it that way. West Seattle — Seattle is a wonderful city. I'm a recent transplant with a roving appetite, so exploring all of the restaurants in the city is awesome. But you know what isn't awesome? The fact that my bank account cries with every restaurant I visit. So, imagine my delight when I found an affordable place for great banh mi- right in my neighborhood! Oh's Sandwiches is right on California Avenue SW, a short walk from the Admiral Junction. 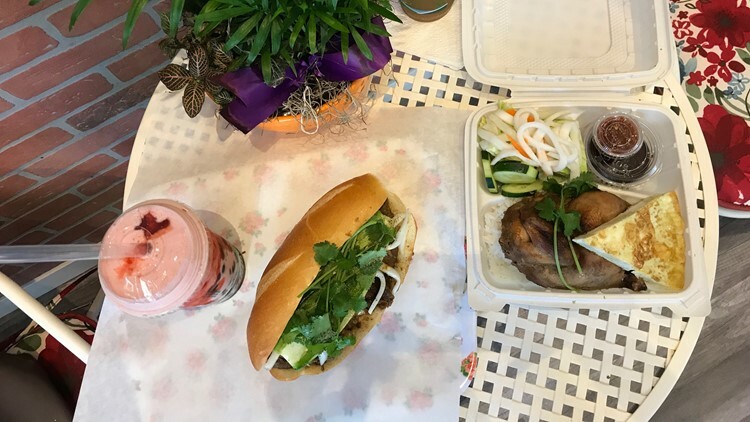 They serve $5 banh mi sandwiches, a daily special, and coffee and tea drinks. Drinks, sandwiches, chicken plates- and more! Oh's Sandwiches has got the bang for your buck. I'm not the only one who's fallen in love with the tiny but mighty sandwich shop. 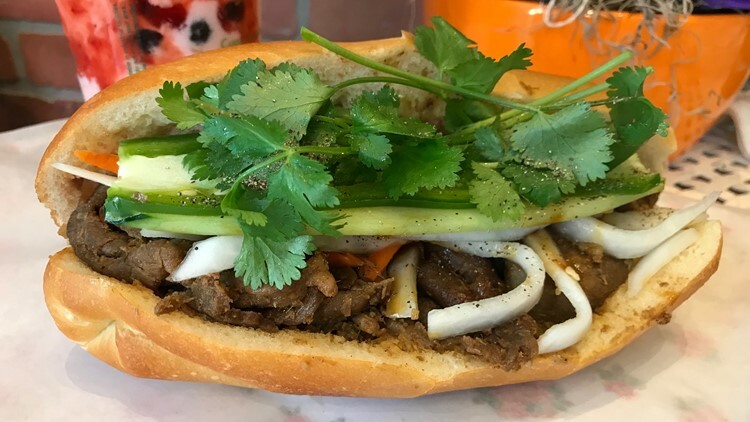 "We sell around 100 plus sandwiches every day," says Tin Phan, a business partner for Oh's Sandwiches. And if you visit on your lunch break, don't worry about time- the sandwiches are ready in 5 to 10 minutes, so you can grab and go. The eponymous sandwich in Oh's Sandwiches- the glorious banh mi! Oh's Sandwiches has a small menu, but there's lots of good stuff on there. They sell lemonade and boba tea as well. Their "Skinny" drink- lemonade with lemongrass and mint- is excellent! Very refreshing. And most days they have a special on their menu. Their most popular special is the chicken and rice box, which is a little more expensive- $8.50- but still definitely a bang for your buck. 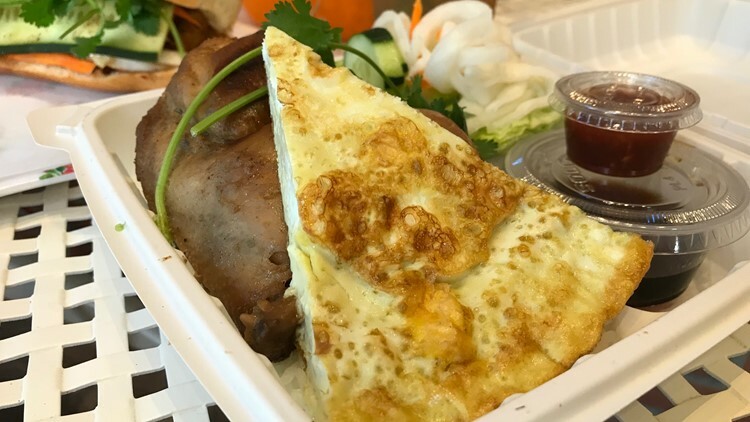 Oh's Sandwiches doesn't just do banh mi- they also sell this wildly popular chicken plate. Oh's Sandwiches is a tiny family run shop with a lot of heart- definitely check it out if you're looking for a good, affordable meal.